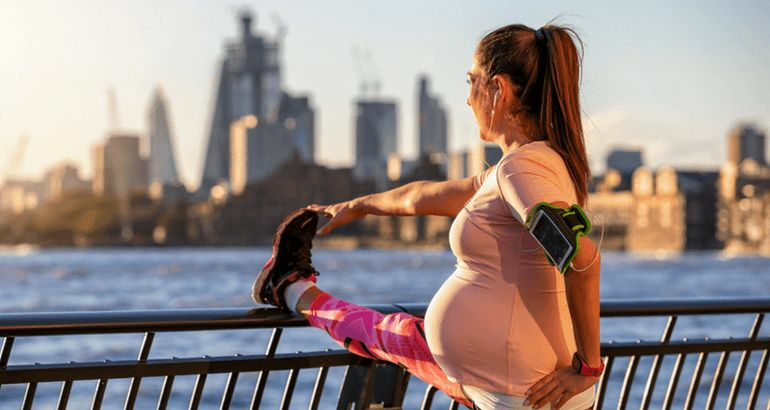 The 2019 Canadian guideline for physical activity throughout pregnancy was recently published in the —and it has some surprising recommendations for pregnant women. To get into the nitty-gritty of the new guidelines, I recently talked to one of the authors, Dr. Margie Davenport. Margie is an Associate Professor of Kinesiology, Sport, and Recreation at the University of Alberta. Her graduate work focused on the use of prenatal exercise to promote cardiometabolic health in women diagnosed with, or at risk for, gestational diabetes. Dr. Davenport developed target heart rate zones for pregnant women, which are included in the guidelines, and her postdoctoral fellowship investigated the impact of exercise on cerebrovascular function in older adults with a focus on post-menopausal women. So, as you can tell, she is no slouch when it comes to how exercise can benefit the human body. During our chat, Margie outlined six recommendations that were formulated through an extensive systematic review, expert opinion, consultation with end-users (pregnant and postpartum women), and then balanced her research with the recommendations' feasibility, acceptability, costs, and equity. There is no bad time to start physical activity during pregnancy. Following these recommendations will reduce the risk of complications such as gestational diabetes, high blood pressure, and pre-eclampsia by a surprising 40%, and reduces the risk of postnatal depression by a whopping 67%. I will give you the highlights of the guidelines and a quick and dirty workout on the next page but to hear the info right from the researcher’s mouth, make sure you listen to the podcast using the audio player at the top of the page!